Good marketing and finding new customers is always important. Keeping the customers you have is critical. Remember that your customers have many options so you must stay in touch. Don’t give them the chance to look elsewhere. This requires a lot of time and effort – so much so that the challenge can be overwhelming. Fortunately, autoresponders are the answer. Autoresponders are a powerful and versatile tool for online businesses. The services provided range from simple to complex. They send emails to your subscribers when triggered by a series of events you choose. For example: Instant “thank you” messages can be sent following a purchase and receipt of payment. Messages can also be sent when items are shipped. Effectively automating the customer service experience almost guarantees customer satisfaction because they always receive a response from you. Autoresponders can also be programmed to send out immediate responses to prospective customers asking for information and follow-up messages at preset time intervals. They can be programmed to send out announcements, newsletters, and catalogues of your latest offerings. This keeps your customers in the loop and encourages future purchases. It is a well-known fact that it is easier to get existing customers to buy again than it is to get the first purchase from a prospective customer. 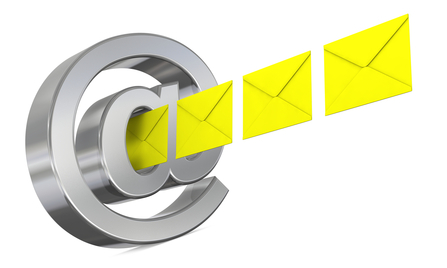 There are many autoresponder service providers available. Each one offers a proprietary set of features that works well with specific types of businesses. Do your research before signing up. Reviews.com published an article in November 2015. The 4 best Autoresponders. This would be a good place to start. Personally, I have always used AWeber and highly recommend them (great service and excellent tutorials/support). It should be easy to see how autoresponders can make your life easier. Unless you are related to FLASH and can move at the speed of light, you should definitely consider using an autoresponder service for your business. When traffic begins to build and the transaction volume increases, you will need help. Using an autoresponder will become a service you cannot live without.